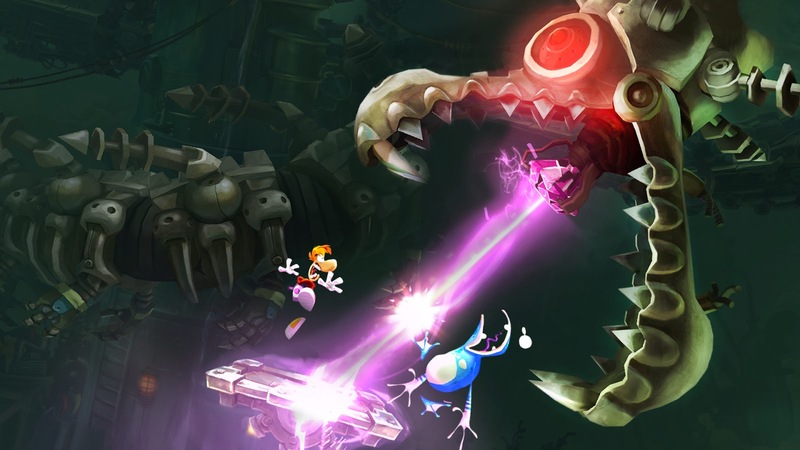 If you enjoy platformers, you have no doubt heard of Rayman Legends. Even if you don't, you probably know about how this game initially was to be a Wii U exclusive. That didn't last long, and it came out for all the big consoles, PC, and a nice version for the Vita. And now, of course, it releases on Next-Gen consoles. Each console gets some different exclusive perks. XBox One has 3 cool characters (Far Cry "Ray Vass" and "Far Glob" as well as "Splinter Ray," from Sam Fisher. 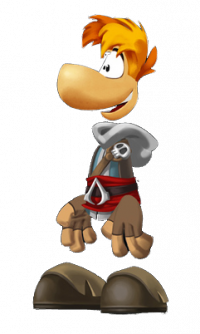 PS4 gets only one character exclusive... the blonde locks of Edward Kenway, "Assassin Ray," from Assassin's Creed IV. XBox also gets some new achievements tied to the game, while the PS4 uses its touchpad to scratch Tickets, and enter "Camera Mode," for freezing play, zooming in, and snapping shots to share out on the Network. So those of you who want to zoom in and save some of those pretty, hand-drawn moments of the game, PS4 has you all set to collect shots. Unless you use the Vita on Remote Play for it. Because then it won't work, but more on that later. Graphically, the game was beautiful on the PS3, and it shines even more beautifully on the PS4. The PS3 version looks great... until you switch back and forth between the PS4! The color palette is much more vibrant. Switching over to your Vita in the middle of the game from your PS4 is a breeze. I noticed a big dip in framerate as I played on the Vita, however. The screens definitely had a blurring effect when you were racing past in levels. I played several levels and compared them to the Vita cartridge version of the game and noticed a drastic difference in clarity on levels like Castle Rock. The Vita cartridge version was easily much clearer. And where did the "Camera" function from the DS4 touchpad go? You go to tap the screen to access the same screen pause and zoom to share a photo function... but it isn't there. Why? I got used to playing the Vita cartridge version so much that I would try to tap the screen at various menu times to access things and not have them work. You do get to scratch off the Lucky Tickets with the Vita screen, however. It even has a nice image that pops up to tell you to use the Vita. That was a nice touch. Don't go looking for a control scheme, though. 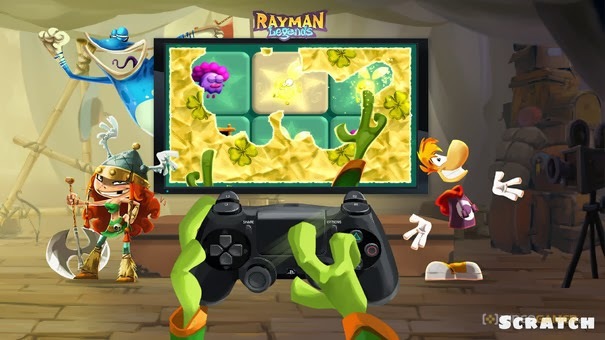 Unlike other games and their Remote Play section, they generally have a pause menu with a control scheme. Not here. So maybe there is a way to still use the camera function with your Vita, I just didn't figure it out. 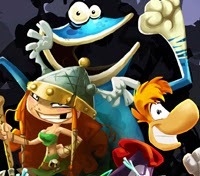 The big question I have is: Why didn't Ubisoft take the plunge and make this version like the Wii U? To have the Vita capable of being like the Wii U gamepad to control Murfy and other things would have been sweet. But nope. The best you can do with it is to add the Vita as a second controller. Helpful when you didn't spring for another when you get your PS4! You want a game to play with the family or a bunch of friends and you have 3 other controllers? Get the PS4 version. It is the same price as the PS3, at $40. That's a great deal on a fantastic challenge of a game. The extra touchpad options are okay, but only the "Share" enthusiast will get a lot out of it. The ticket scratch is neat, with the sound coming out of the DS4. Do you want to play on the go? Do you not have a group of friends you can battle through the levels with? The Vita version is EXCELLENT. 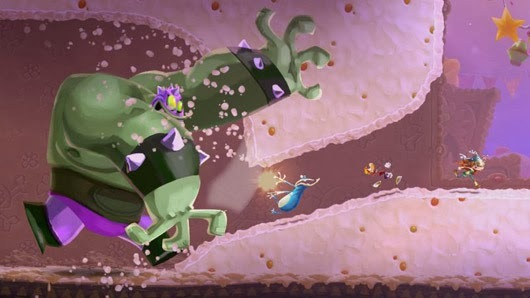 With the patch that came out a bit ago, you have all the same Invasion levels as the other versions, PLUS some extra "Murfy Challenges" exclusive to the Vita. You can also play through some levels with someone online! Whichever version you pick up, you owe it to yourself to play this game. Verdict: 9/10. 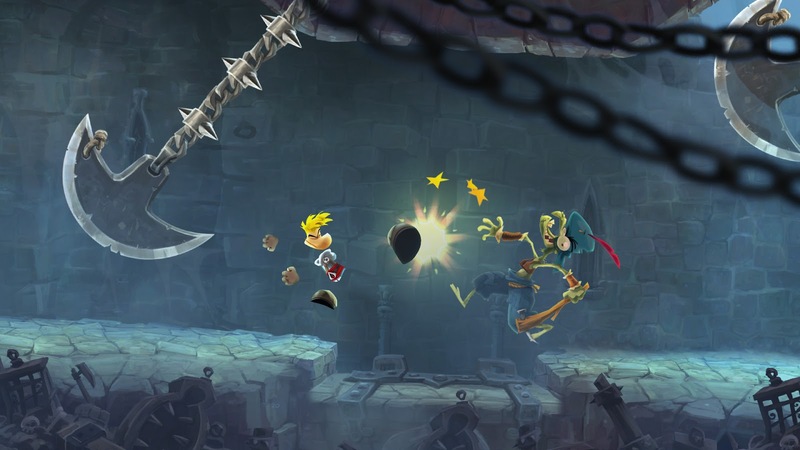 The brilliant platformer is now on Next Gen Consoles. The PS4 version looks amazing... vibrant colors make it stand out from the PS3, and the gameplay is as fun as ever. Thanks to Ubisoft for the review copies of the games! Have you played this game? Which version? Let us know below, and how it ranks among your favorite games!